Like so many other sayings, could this one have a hidden meaning? Lets see. Could Jesus have been trying to tell the fishermen that it was time to ‘leave,’ to leave what they had always ‘believed and accepted’ about what they had been taught about God? Did Jesus want to teach them about his God, a God that they could ‘prove’? If so, an ‘agreement with what? Agreements with the handed down beliefs and opinions from the ancient fathers? Ancient fathers who believed in a god of war and destruction? 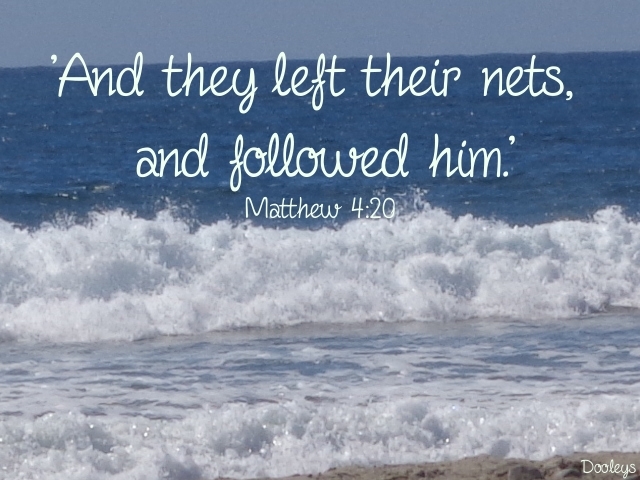 Did Jesus also understand the word ’net’ can mean, ‘circumstances? Was Jesus giving them an ‘opportunity’ to change their ‘conditions and circumstances’? An ‘opportunity’ to understand they did not have to ‘agree’ with what they had been taught about God and man. A God they had been taught was the real God, with no proof that He was real? And that man is made of the flesh, when he is not. Isn’t it most interesting to know different meanings for words? 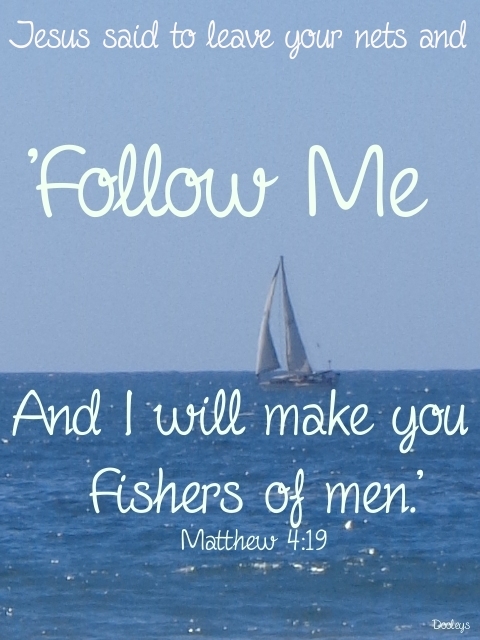 So think about this…Jesus wanted the fishermen to ‘follow’ him…not follow him around the countryside…but to ‘follow’…to listen to him and to accept him as their guide. Did Jesus want the fishermen to stop agreeing with worldly conditions and worldly circumstances and worldly beliefs and handed down opinions of God and his Creation and to ‘follow’ which in this case means to ‘listen to him and he would guide and teach them truths of a real God. And by understanding the real God, it would change their human conditions and circumstances. 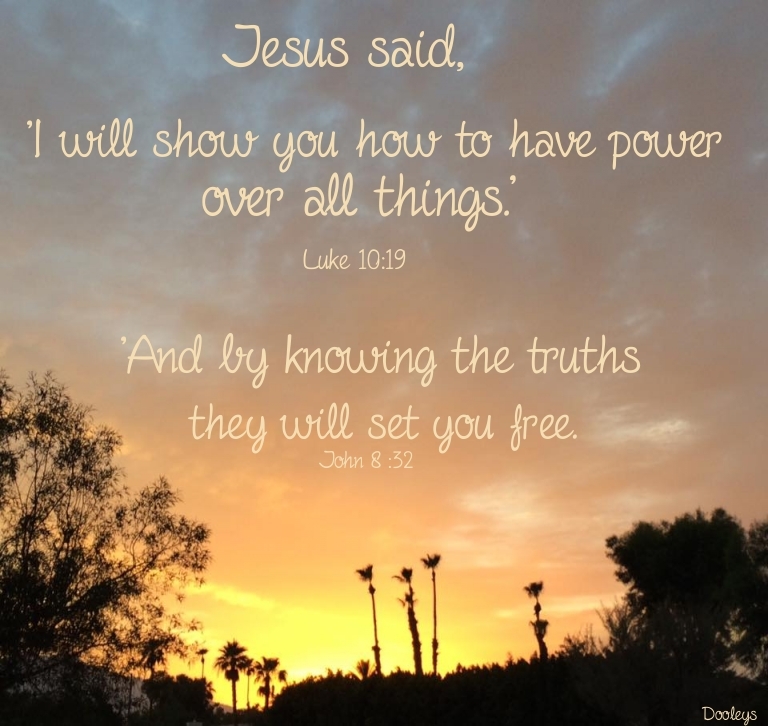 Was Jesus telling them that if they left their old ways and old beliefs and followed him, he would show them the truth of things and they could regain their power and be set free from their human conditions and circumstances. Could that be what Jesus was really saying to them? That they could take back their God given power of freedom? And maybe Jesus wanted them to understand that there were different ways to fish. Since a meaning for the word ‘fish’ is ‘to search, to seek,’ did Jesus want to show them how, if they would leave their nets he would show them how to ‘search and seek’ and then to become fishermen of men? What do you think when you think of what this passage could mean. 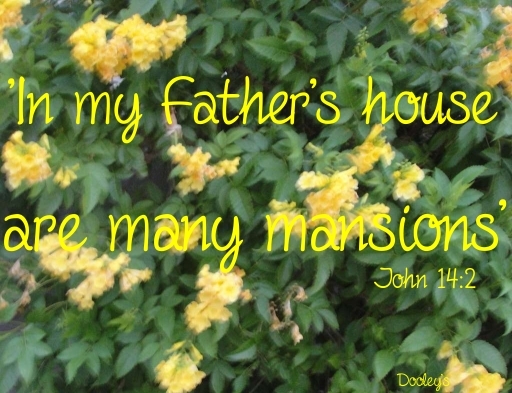 Could it mean Jesus was telling man that God lived in a mansion? A large house in the sky? And in Gods mansion there were lots of rooms? So, could that passage have a different meaning? Lets see. ‘permanent and is an inseparable element? ‘permanent and inseparable’ from him. Then does that mean that what is ‘existing’ in us that we call God, is really our Consciousness, and in this Consciousness there are many ‘rooms’? Rooms like, love, hate, sin, sickness, joy, sadness and ‘room’ like wisdom, or understanding, to name a few of many ‘rooms’? Yes it could mean that, because ALL things do take place in some part, some ‘room’ in our Consciousness. Man can know nothing without his Consciousness. Think, isn’t it Consciousness that exist in us? Is it also not true that there are ‘many mansions, many rooms, many areas within Consciousness? And is it not true that without Consciousness we have no body, no reality at all, because it is only Consciousness that tells you anything, so without your Consciousness telling you have a body, or a world, you do not have anything. Was that what these Bible passages are trying to tell us? That we are not in or of our body, but that we, in reality exist in and as Consciousness? What else could it mean? Certainly not that there is some God sitting in some mansion, some big house waiting for man to come to him. How could man come to God, if he is already IN God? Can man get out of God? Out of Consciousness? Yes, we do ‘exist’ in and of Consciousness. So, how do you understand what many ‘mansions’ means? The word ‘many’ tells you…there is more than just this earthy ‘room’ we are now in. Is it possible that one of the ‘rooms’ is our earthly experience? If it is, then we can WALK OUT of that ‘room’ and enter another one.